Let's have a bright and happy start to a new week. 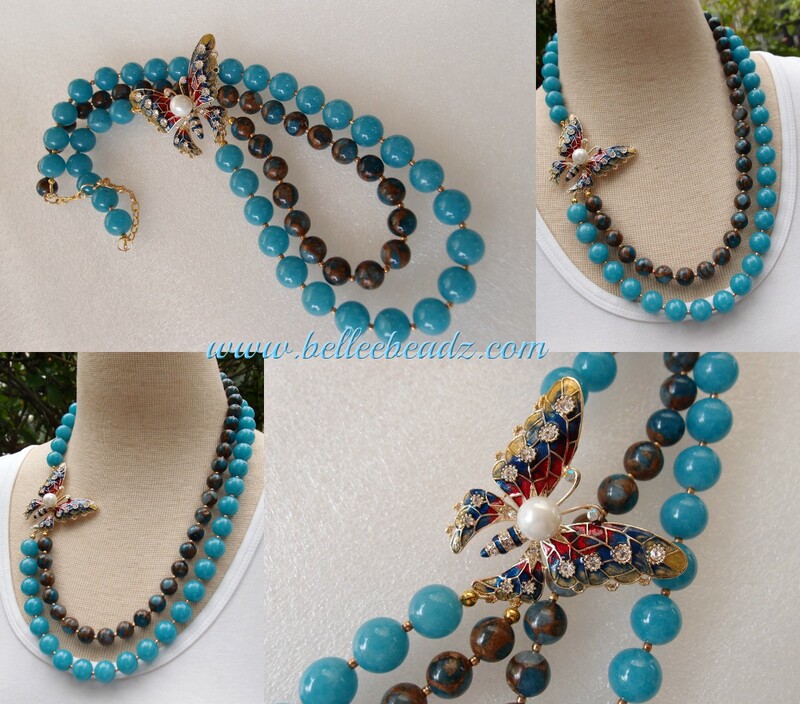 There is a gorgeous butterfly hovering amongst some lovely beads - 14mm smooth Amazonite and 10 mm blue/copper tone brecciated jasper. The creme a la creme has to be this colourful butterfly with a 12mm shell pearl centre. 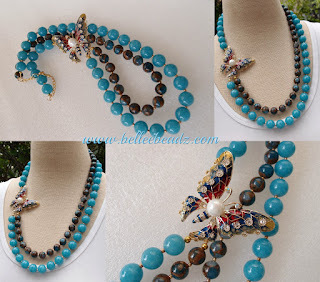 Necklace - outer piece - is 25" in length.